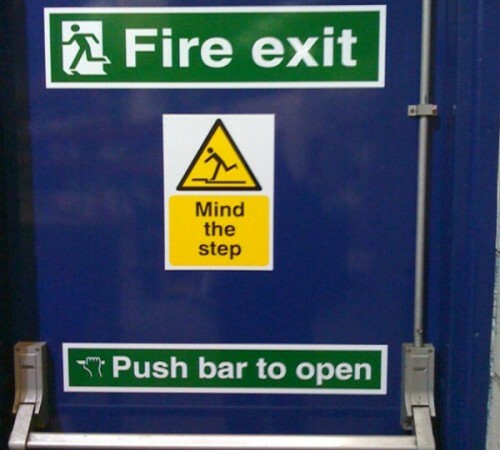 A steel fire exit door is important in any industrial environment, providing a practical escape route in the case of a fire. The purpose of the door is to create an unhindered escape into a safe area. Our fire exit doors are extremely easy to use, providing an efficient and swift exit for those inside. They are also designed to contain and prevent the spread of fire for a specific period of time. 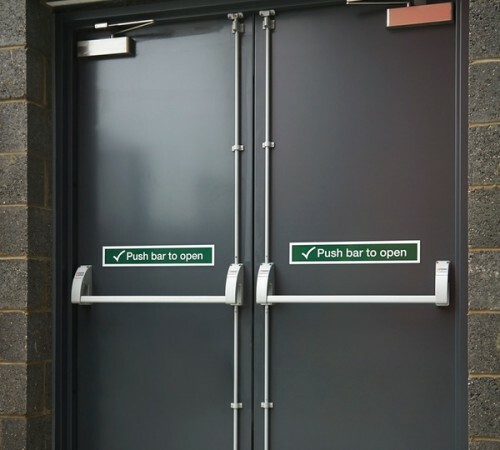 Our steel fire exit doors are available in both latched and unlatched configurations, with varying sizes and hardware constraints. The slim single rebate frame used as standard allows our doors to be easily used. They are supplied fully assembled and finished, which means that doors and frames can be installed in one visit without the need to make additional visits. We are proud to be industry leaders for providing and installing FD-A steel fire exit doors. These are available to our clients in a wide range of sizes, to ensure that we can provide the right one for you. Wide single doors are available from 690mm-1340mm, wide double doors from 100mm-2600mm, and all of them from 1500mm-2800mm high. All of our doors are made to order – each being expertly manufactured here in the UK. Our steel doors come fully assembled when combined with our adjustable fixing feet and variable sub frame. This will reduce the time spent on installation, therefore saving you money. You can also choose a coating for your finished product, with options including a powder or wood grain finish. A steel fire exit door is a legally required addition to any industrial property. It’s there to protect the lives of everyone inside, as well as keep your property safe from any unwanted attention. For further details on our steel fire exit doors, please don’t hesitate to contact us. You can give us a call on 0845 644 1225 and a member of our team will be more than happy to help.